One of my Friends gave me some blueberry. I don’t eat blueberry as fruit, but I do love cooking with it. 1. Rinse blueberry, pick out all the bad ones, use paper towel to pat dry, set aside. 2. Mix flour, sugar, baking powder and salt, set aside. 3. 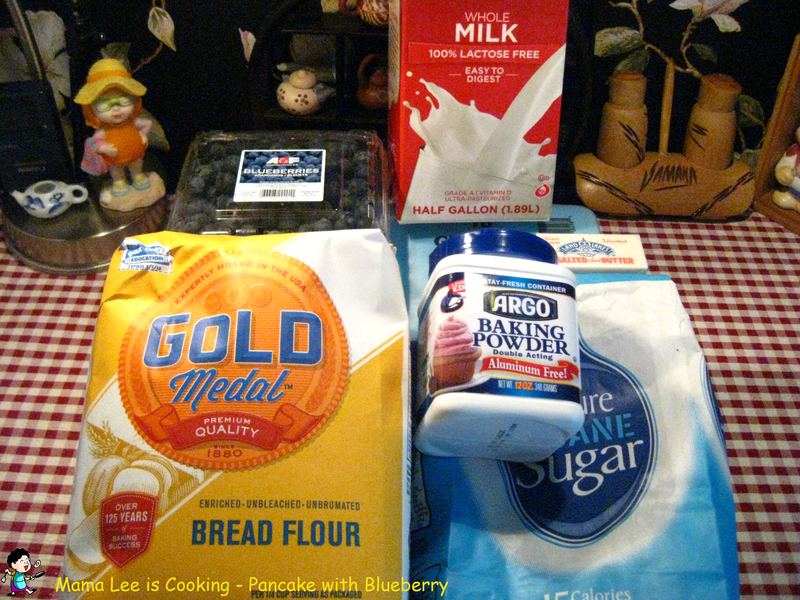 Mix butter with 1/2 cup milk, pour over flour mixture. 4. Add another 1/2 cup milk and eggs, mix well until batter get smooth. 5. 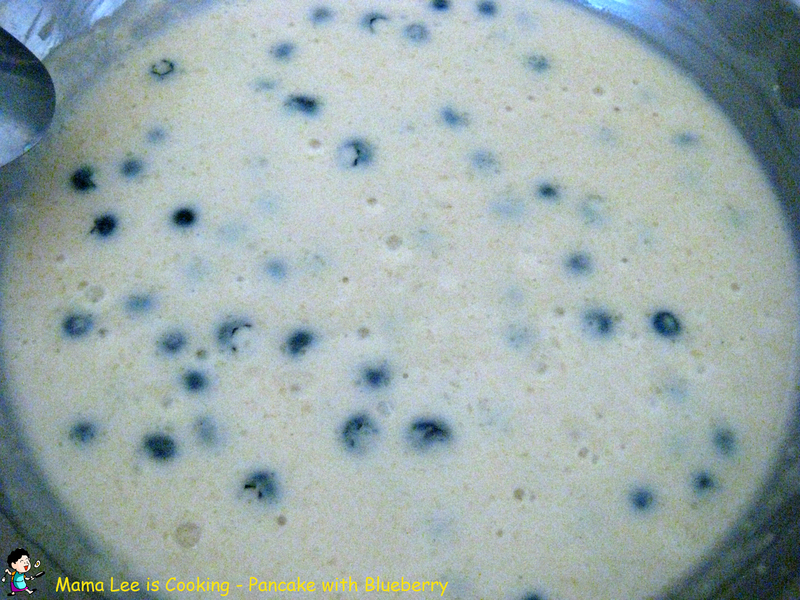 Add blueberry into batter, mix well. 6. 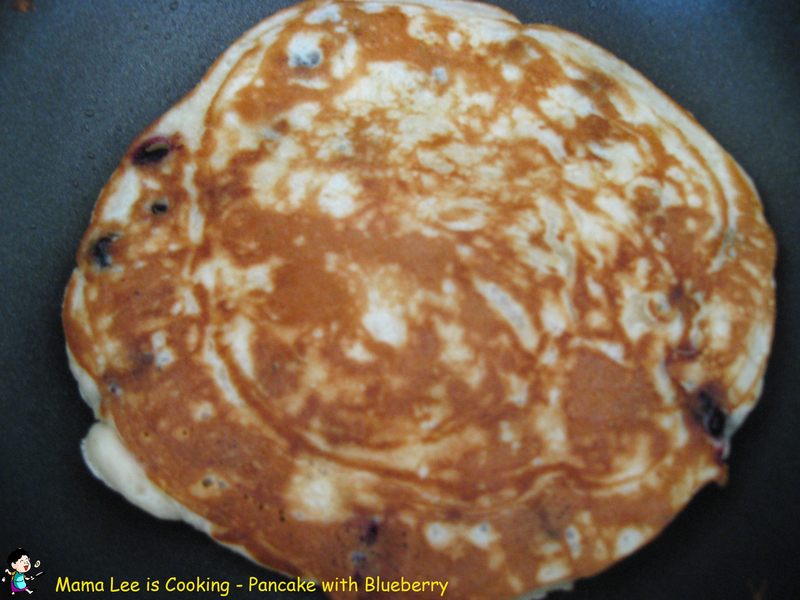 Heat up frying pan on medium heat, add a little bit cooking oil, pour 1/2 cup batter into pan, spread evenly. 7. 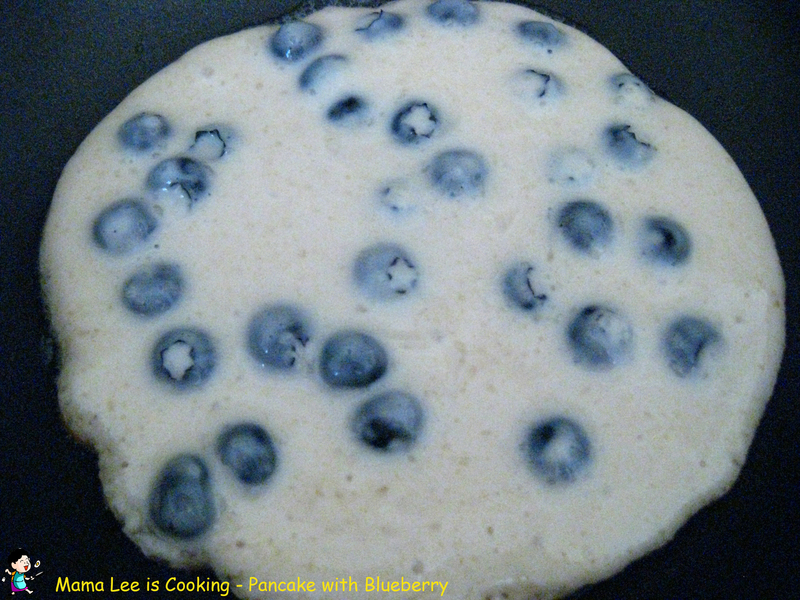 Flip pancake carefully when you see bubbles come out and pop. 8. 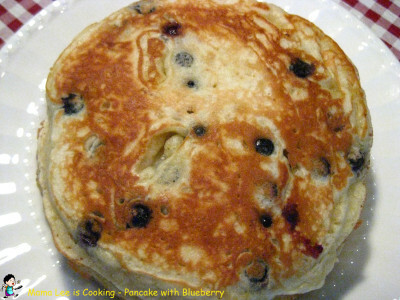 Cook pancake until both side get golden brown. 9. Serve with syrup and butter. 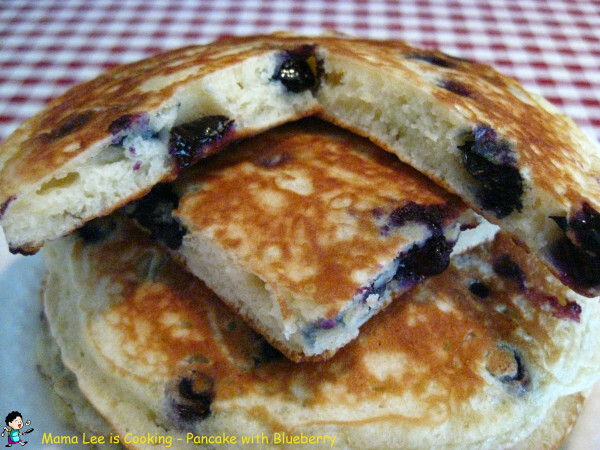 I like to eat pancake plain. It tastes good without syrup.